This workshop will offer: guidance on professional skills and career opportunities both inside and outside academia; insights and resources for scholars to become critics and experts in media; and basic media and public relations training with a focus on how to answer questions from reporters. Jennifer Polk is an academic and career coach for graduate students and PhDs. She earned her PhD in history from the University of Toronto in 2012 and is now a blog writer for academic magazine University Affairs, where her featured column From PhD to Life offers regular professional guidance to graduate students, PhDs, and academics. As a career coach, she has been a keynote lecturer, guest speaker and panelist at various universities in Canada and has been published in Vitae, Academic Matters, and The Globe and Mail. She has also been featured on SFU Graduate Studies & Postdoctoral Fellows blog, Maclean’s magazine, Upstart Business Journal, CUIT 89.5FM Toronto, and History News Network. See more: www.fromphdtolife.com. Carolyn Harris is a royal historian and lecturer based in Toronto, Canada. Carolyn completed her PhD in history at Queen’s University in Kingston, Canada in May, 2012 and teaches history at the University of Toronto, School of Continuing Studies. She also provides royal commentary on the CTV news channel and CBC radio. As an expert in the history of European monarchy, she has been interviewed by numerous media outlets including the CTV News Channel, CNN, BBC Radio 5, CBC syndicated radio, Radio Canada International, TVO’s “The Agenda,” The Toronto Star, the National Post and the Globe and Mail. Her writings concerning the historical context of issues facing the British and Canadian monarchies today has appeared in the BBC News Magazine, Smithsonian Magazine, Military History Monthly, Globe and Mail, Ottawa Citizen, Bloomberg News, Toronto Sun and Kingston Whig-Standard. Her forthcoming book “Magna Carta and Its Gifts to Canada” will be published in 2015 by Dundurn Press. See more: http://www.royalhistorian.com/. 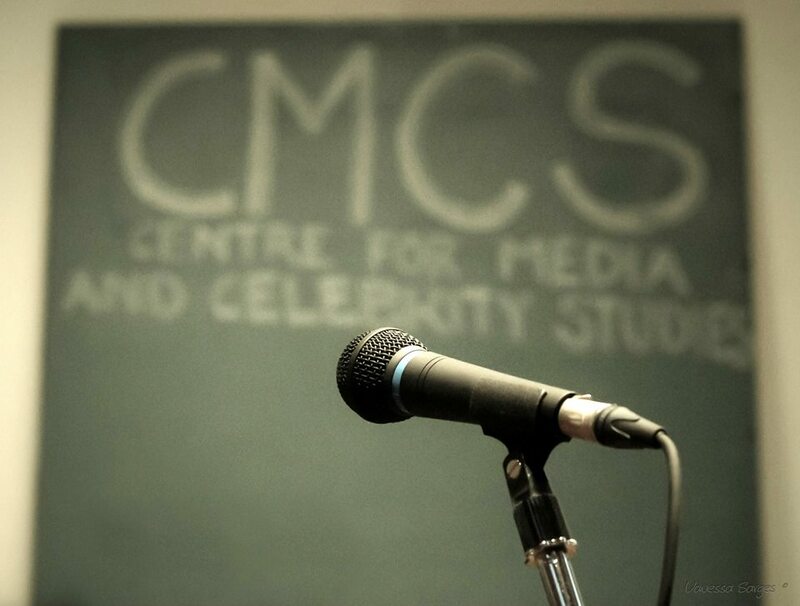 Samita Nandy is the director of the Centre for Media and Celebrity Studies (CMCS) and writes as a cultural critic on fame. She earned her PhD in media and celebrity culture from the Department of Media and Information at Curtin University, Australia in 2012 and is a certified broadcast journalist. Her international media relations and work led her to be featured CBC News, CTV’s Breaking News CP 24, The Globe and Mail, Daytime and First Local on Rogers Television, OMNI TV, Canadian Journalism Foundation, Urban Television, Eternity Watch magazine, ANOKHI Media, ATN Television Network, CINA 1650 AM; Starbuzz Weekly, and Mississauga News among many more. Her work has been published in edited books The Performance of Celebrity and The Emotions Industry. Her forthcoming book Fame in Hollywood North will be published in 2015 by WaterHill Publishers. See more: www.cmc-centre.com and www.samitanandy.com. Shannon Skinner is the host and producer of television series, Extraordinary Women TV, now in its third season on television. With more than 20 years of experience in public relations, she is regular contributor to Huffington Post and has appeared in LIFE magazine, Good Morning America, Rogers TV Daytime, Global TV, Canadian Living, Notable.ca, Good News Toronto, Liquid Lunch, among others. Shannon studied creative writing at the University of Oxford and film studies at Ryerson University, and received her B.A. at the University of Saskatchewan. She is an active member of Women in Film and TV (WIFT) and the Oxford and Cambridge Society of Toronto. She is also the recipient of the University of Saskatchewan, College of Arts & Science’s Alumni of Influence Award 2014. Her show airs on Rogers TV Toronto and syndicated world-wide online. See more: http://www.extraordinarywomentv.com/ and http://shannonskinner.com/meet-shannon/. This panel workshop is part of international conference Bridging Gaps: Higher Education, Media and Society that will be held on May 27-28, 2015 at Ryerson University in Toronto, Canada. Register by 15 January 2015. Registration includes full access to the conference (see http://cmc-centre.com/conference2015/ for details or if you wish to submit a paper). Priority will be given to conference presenters, with limited space for other attendees.